Looking for a Reliable Cosmetic Dentistry? Gerber Dental Has a New Partner - Cigna Dental! Count on us for top-notch dental services, such as preventive care and cosmetic procedures. Learn more about common dental problems and how to treat them. We provide a wide range of dental treatments, including braces. A beautiful smile is a powerful thing-it's the first thing people see when they meet you, and you want to be sure you're making a good first impression. Taking good care of your teeth will help you shine your pearly whites with confidence. 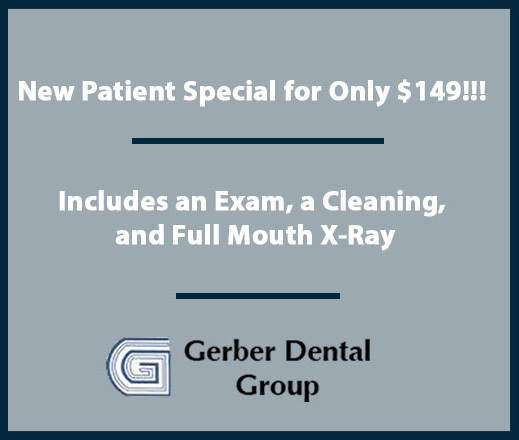 Make an appointment at Gerber Dental Group today. We offer a wide variety of dental services, including preventive care and dental treatment services. We also specialize in cosmetic dentistry, so we can help you achieve the perfect smile. Call one of our dentist offices in Portsmouth or Hooksett, New Hampshire today to prevent, or take care of, any dental problems. Whether you're living with a painful cavity or a crooked smile, trust Gerber Dental Group for superior dental treatment. Schedule an appointment at our dental office in Hooksett or Portsmouth, NH today. We've been providing the Hooksett and Portsmouth, NH communities with reliable dental care for over 50 years. We have an on-site laboratory, so you never have to wait long for results. We offer 0% financing on our dental services. We'll take great care of your teeth-make an appointment at Gerber Dental Group today. Are you unhappy with your smile? Gerber Dental Group now offers alternatives to conventional braces.